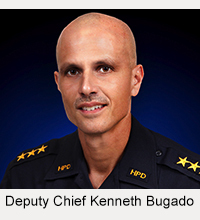 Thank you for visiting the Hawaiʻi Police Department’s website. This website is provided as a public service. You can visit our home site without telling us who you are or revealing any personal information about yourself. We do not sell, exchange, or otherwise make available information gathered by our site to others. We may gather certain non-personal data from web site visits that will enable us to later determine usage trends such as which pages are visited most often, what hours of day experience the greatest use, session duration, etc. None of this information identifies you personally. We use the information in aggregate only to enable us to improve our website and make it more informative. If you choose to communicate with us through the e-mail features provided on our website, certain personal information may be requested from you (name, e-mail address). This is to us the opportunity to validate you as the sender of an e-mail message and to respond appropriately to your e-mail. This information will not be used for other purposes. As a convenience to our visitors, we provide links from within our website to other websites where related information may be found that may be of interest to our visitors. If you link to any of these external websites, our policy will not apply to your use of those sites. We encourage you to read the privacy statement posted on those sites. We will assume no responsibility or liability for the content or for the data collection and use practices of those sites. 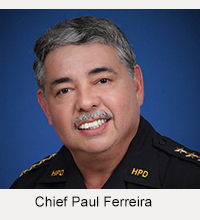 Links to external sites are provided solely at the discretion of the Hawaii Police Department and may be revised at any time. Parents and guardians are responsible for controlling access to our website for their children and for overseeing use of our website by their children. This includes monitoring of children while giving out any information about themselves through use of our e-mail features. For additional information, see our Accessibility Policy.